From working and shadowing in a number of different dental practices throughout my schooling, I had an idea of what I wanted out of my first job. I wanted to work in a modern office utilizing the technologies I learned in school. I wanted to be able to do quality dentistry that I could stand behind. I wanted a mentor who could help me become more clinically competent and business-savvy. I also wanted to live in a big city and escape New England winters. While I was in dental school, the concept of “large group practice” had a negative connotation among dental students, often viewing it as a “last resort.” Some of the stigmas that I’ve heard about dental support organizations (DSOs) are that the dentists are forced to see more patients than they can handle and expected to fulfill outrageous quotas set upon them from “non-clinicians.” I stayed open-minded, especially as I read about DSOs in dental magazines as being a trend of the future. I was also able to meet and speak with dentists supported by Pacific Dental Services (PDS) when I attended the American Student Dental Association National Leadership Conference in Chicago during the fall of my third year. The dentists I spoke with who were working in PDS-supported offices seemed genuinely happy in their current positions and felt that they were able to achieve their professional and personal goals faster with the support of PDS. What I really liked about the PDS business support model is that all of the supported offices are equipped with the latest technologies, including digital X-rays, intraoral cameras, and CEREC CAD/CAM. Lastly, knowing the pressures that dentists face regarding stagnant insurance reimbursement rates and increased overhead made me want to be supported by an efficient business model. As the first person in my family to become a dentist, I didn’t have any strong dental connections. I reached out to recruiters of various DSOs and requested to meet with supported dentists and set up shadow days. One of the recruiters connected me with an owner dentist in Las Vegas who enjoyed mentoring new grads. I flew out to Las Vegas during my winter break and spent two days shadowing PDS-supported owner dentist, Dr. Cody Mugleston. Walking into his office, I didn’t get a “large group practice” vibe. It looked and operated like any private practice I’d ever explored. I sat in on all of the new patient exams he performed that day and we were aligned in our diagnoses. Dr. Mugleston enjoys working with young dentists to help them ramp up and become acclimated to real-world dentistry. I felt that this was the perfect environment for me to learn and grow and it fulfilled everything on my “want” list. Many of my peers are aware that I’m working in a practice supported by a DSO and have reached out to me for advice and feedback. I’ve been sharing my experiences and clearing up some of their preconceived notions regarding DSOs. The biggest relief working in a PDS-supported office is being able to work in a patient-centric environment that puts me as the clinician solely in charge of diagnosing and treatment planning. There is no push to produce or to conform to expectations from non-clinicians. My peers have also been amazed to know that the PDS support model offers abundant continuing education opportunities, and I am able to enjoy benefits such as 401k, malpractice, disability, health insurance, life insurance, and more. I’ve also been very fortunate to be part of a tight-knit network of PDS-supported dentists in Nevada who have been invaluable resources for clinical and business advice. This past year working as an associate and transitioning into ownership has reassured me that I made the right decision to work in a PDS-supported office. My entrepreneurial spirit has been ignited as I am passionate about incorporating my personal vision in the office and establishing my reputation within the community. What I especially appreciate about working in a PDS-supported office is that every business aspect of the practice is thoroughly researched, such as location, marketing and metrics to measure quality outcomes and business success. As a dentist and soon-to-be new owner, I am glad that all the systems are in place so that I don’t have to reinvent the wheel. Working in a DSO-supported practice has provided me the support and experience I needed as a new grad and I’m happy to continue my personal and professional journey as a PDS-supported owner dentist. 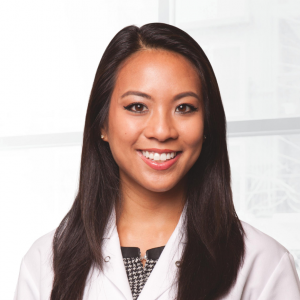 Dr. Bianca Velayo is a New Dentist Now guest blogger.She is a member of the American Dental Association, Nevada Dental Association and Southern Nevada Dental Society where she currently serves on the New Dentist Committee. She grew up on Long Island, New York and received her D.M.D. from Tufts University School of Dental Medicine in 2015. During her time in Boston, she was an active member of her school’s ASDA Chapter and the Massachusetts Dental Society. After graduation Dr. Velayo moved to Henderson, Nevada to work as an associate dentist in a PDS-supported office. Dr. Velayo is currently finalizing her purchase of Green Valley Smiles Dentistry. In her spare time she enjoys working out, playing music and spending time with her friends and family. Nice share. Appreciate your passion and thirst to achieve what you aimed at. Inspiring share for new and practicing dentists. Keep writing and sharing your experience.